The deal worth up to €400 million ($451 million) should result in volume deliveries from late 2020 to 2022. The first part is for 150 electric buses. "The consultation is divided into 3 lots giving rise to a framework agreement (market) of two years and a maximum amount of €133 million each. This purchase represents an order potential of nearly 800 buses (of which about 200 are in firm order), financed 100% by île-de-France Mobilités (in direct grant or via the contract île-de-France Mobilités – RATP). The first order of approximately 150 vehicles, distributed over the three lots, will be processed as soon as possible. The first series deliveries related to this consultation should be made at the end of 2020." 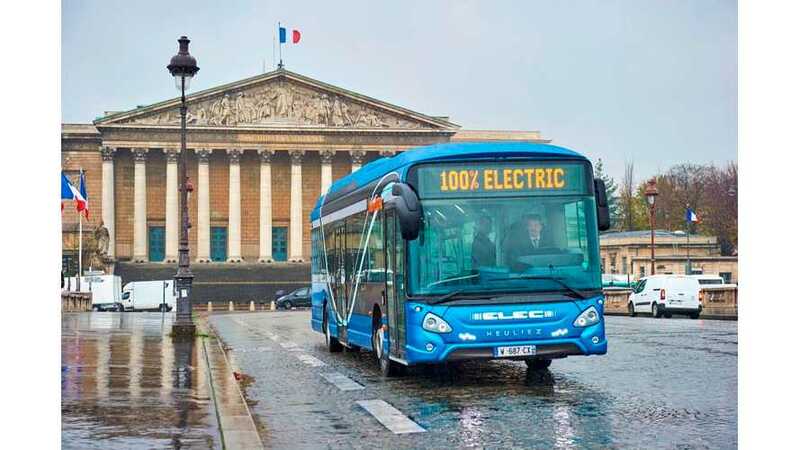 RATP's fleet consists of 4,700 buses including 83 electric (plus 77 electric ordered before the big tender for 800).